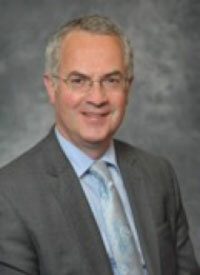 Alex Attwood MLA took up his post as Minister of the Environment in May 2011. He was Minister for social Development in the last Northern Ireland Executive. A native of Belfast, Alex attended St Malachy’s College and Queens University graduating with an LLB. Alex qualified and worked as a solicitor in the city before devoting himself to full-time politics. Alex got involved in student politics at university, serving as Student President of the Students’ Union 1982-83, a period of student activism and radicalism. Alex represented West Belfast on the Upper Falls council 1985-2005. In 1997 he was instrumental in negotiations that gave Belfast its first nationalist mayor. Appointed in 1997 by John Hume to the Dublin Forum for Peace and Reconciliation, Alex’s commitment to an all-Ireland agenda is close to his heart. As a member of the SDLP Talks Team, he played a key role negotiating role on policing, human rights and justice issues in 1998 and since. Alex was the SDLP spokesperson on policing and was appointed to the Northern Ireland Policing Board in September 2001 on which he served until 2007. 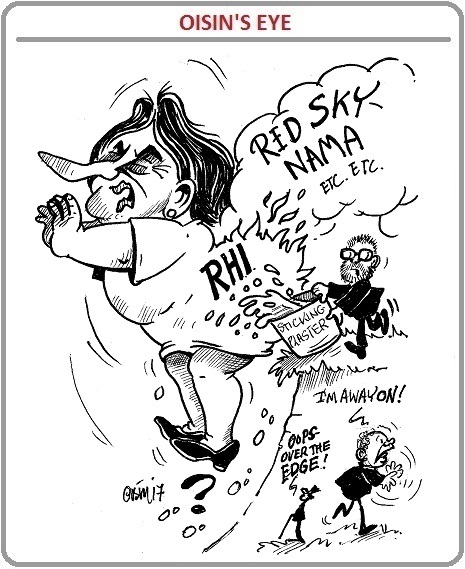 During this time he was influential in the implementation of many of the recommendations of the Patten report. He was first elected to the Northern Ireland Assembly in 1998 and has been re-elected three times since. A life-long gasman, Peter began his career as an Engineer in 1976 with The Gas Corporation in Liverpool. He played a key role in the break-up of British Gas plc. Having joined Phoenix Natural Gas as Commercial Director in February 1997, Peter was appointed to the Board as Chief Executive Officer in July 2000. Peter is a Fellow of the Institute of Energy, a Companion of the Institute Gas Engineers and Patron of the Energy & Utility Skills Council. He holds a number of Board positions within the Kellen Holding Group. Peter is a Belfast Harbour Commissioner and since its inception in 2005 he has been Chairman of the Energy for Children Charitable Trust. He is a Board member of Business in the Community and Chairman of Arena Network. He is also a Board member of the National Trust Advisory Board in NI, a Lord’s Taverner and a Board member of Men Against Cancer. 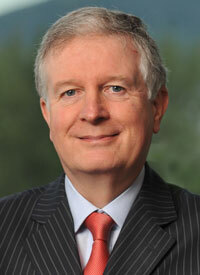 Dr David Dobbin CBE has extensive international business experience in the food and drink and packaging sectors and since 2000 has been Group Chief Executive of United Dairy Farmers on of Northern Ireland’s largest indigenous food companies with an annual turnover of £450 million and 1,000 employees. He is actively involved in promoting economic development and is Chairman of the Strategic Investment Board, a board member of Invest NI and was recently appointed as a Belfast Harbour Commissioner. He previously served as Chairman of North/South Economic body InterTradeIreland and as Chairman of the CBI in Northern Ireland. A First Class Honours Graduate in Mechanical Engineering from Queen’s University Belfast, Dr. Dobbin has completed post‑graduate business courses at the London and Harvard Business Schools. 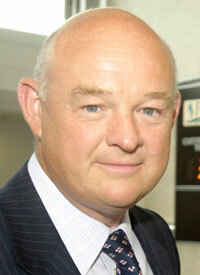 He is a Chartered Engineer, a Fellow of the Institute of Directors and received a CBE in the 2005 Birthday Honours for his service to the agrifood and packaging industries. Dr Dobbin was awarded the Institute of Director’s Lunn’s Award for Excellence in leadership in 2008 and an honorary Chinese citizenship in 1998 by the city of Kunshan in recognition of his service to economic development in China. A passionate rugby enthusiast he is currently Chairman of Ulster Rugby. 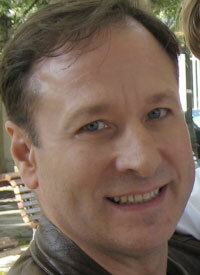 Mark Hackett is an architect and director in Forum, formerly a partner in Hackett Hall McKnight architects. In 2007 they won the competition to design the MAC arts centre shortly to be completed and opening in the Cathedral Quarter Belfast and in 2008 they won UK Young Architect of the Year. Mark left the partnership in June 2010 later becoming a full time director in Forum. 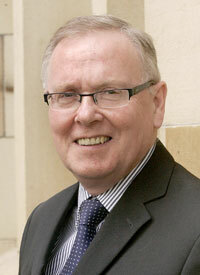 He is external examiner in University of Dundee and has taught in architecture courses extensively since 1999. He is a board member of PLACE and ADAPT NI. 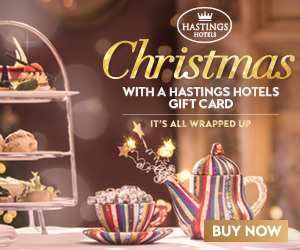 Howard Hastings is currently the Managing Director of Hastings Hotels. He is also a Director of Merrion Hotel Ltd (ROI) and a member of the Board of Governors at Rockport School Ltd.During the 1990s he was Chairman of the Institute of Directors in Northern Ireland and Founding Chairman of the Northern Ireland Hotels Federation. Howard has also been a member of Castlereagh College governing body and a Board Member of Business in the Community and the Bank of Ireland Advisory Board. His previous public appointments include Tourism Ireland, the Training & Employment Agency, Investors in People, New Deal Task Force and the Tourism and Hospitality Training Council. 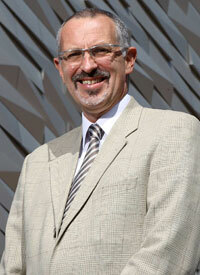 Tim became CEO of the world’s largest Titanic visitor experience in May 2011. 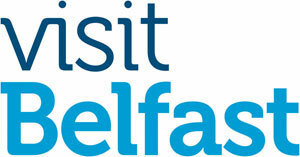 Prior to this, Tim was Managing Director of the Belfast Waterfront Hall, which generates over 300,000 visitors each year, from 1994 until May 2011, arriving in Belfast two years before the facility opened. For five years he has also been responsible for the operation of the Ulster Hall, another major player in the city’s arts and entertainments provision. In 2009 Tim assumed the position of Head of City Events and Venues, which saw him take the lead in the delivery of all major events in the city, including the Tall Ships Festival in 2009 and the securing of the MTV Music Awards for Belfast for November 2011. Prior to coming to Belfast, Tim was Managing Director of the Riviera Centre in Torquay, a major UK Conference Centre and leisure facility. Concurrently he was also the General Manager of the English Riviera Conference Bureau, responsible for generating both profile and business for not the only Riviera Centre but for the region as a whole. At the end of the 1980s Tim held the post of Head of Commercial Development at The Dome in Doncaster and helped launch what was, at that time, the UK’s largest indoor leisure facility including leisure pools, two level ice rink, health suites, and concert hall. 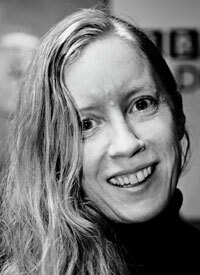 Róisín Kelleher is currently on a secondment from the BBC to Northern Ireland Screen as Head of the Irish Language Broadcast Fund (which funds quality Irish language content for broadcast on various platforms and fosters the Irish speaking independent production sector in Northern Ireland). Her roles at the BBC have been diverse, from leading a department, commissioning and writing (for a wide variety of award winning multi-platform interactive media projects in the areas of education, drama, documentary, animation and online gaming), to many years as a radio broadcaster/producer with the BBC’s Irish Language Unit, co-establishing the nightly flagship show, Blas. She has recently retrained and also works as a therapist and personal process facilitator for individuals and groups. Ciaran Mackel is an architect in private practice and with over 30 years experience in the profession has been involved with, and design architect for, a number of successful award-winning projects. Ciaran has been architect-assessor on a number of high profile architectural competitions following his role as Arts Council Lottery panel member, Architectural Policy panel member, and as creative advisor on the built environment to the Imagine Belfast 2008 project, Belfast’s bid for Capital City of Culture 2008. Ciaran is founder member of PLACE, developed in co-operation with Belfast City Council to provide a city centre venue as an Architecture and Built Environment Centre. Ciaran also serves on the Boards of a number of other community and arts organisations. 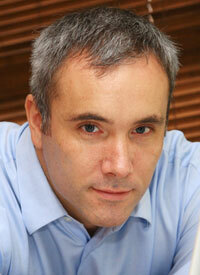 Ciaran is currently an associate senior lecturer in the School of Architecture and Design at the University of Ulster. Ciaran is also an architectural advisor to the Ministerial Advisory Group to the Department of Culture, Arts and Leisure. 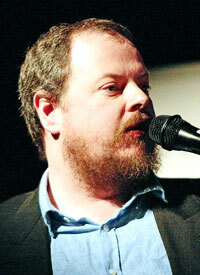 Ciaran is also founder member of the think-tank / do-tank, the Forum for Alternative Belfast. Mackel is interested in an architecture research laboratory that engages with citizens and with the local profession on current critical issues that will afford an exchange of material for wider dissemination. The ard ‘+100’ intern research team are currently documenting the interface walls and the lands around them with a view to exhibiting the material and disseminating experience from overseas that might challenge the spatial construct of the interface areas. 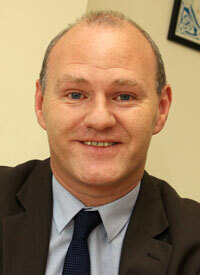 Married with two children, Paul Maskey represented Sinn Fein in the Upper Falls DEA from 2001 until September 2009 in Belfast City Council and was elected to the Assembly for the west Belfast constituency in 2007. Paul was reelected to the Assembly in 2011 and in the same year he got elected as the MP for west Belfast replacing Gerry Adams who got elected to represent the people of Louth as their TD. Paul is the Chairperson of the Assembly’s Public Accounts Committee and is a member Finance and Personnel Committee, Assembly Audit and Assembly Business Committees. He has worked tirelessly over the years to ensure that west Belfast is resourced accordingly and has been central to the development of West Belfast as a tourism destination. Paul showed great determination and persistence with his successful campaign in halting the proposed asbestos transfer site in the heart of west Belfast. Paul is a member of the Andersonstown Martyrs Sinn Fein Cumann and is very active within the community sector in Upper Falls. He is a board member of the Upper Andersonstown Community Forum and Greater Andersonstown Neighbourhood Partnership and is represented on a number of resident associations within the area. He has also been instrumental in the re-establishment of the Friends of the Falls Park group. Paul is endeavouring to deliver a fair society for all the people of the Ireland and works very hard for the people of West Belfast in particular. Tony McCusker is Chair of the Community Relations Council. He is a retired civil servant who in the late 1980’s as a member of the Central Community Relations Unit (CCRU) at Stormont was involved in setting up the Community Relations Council. He served in a number of other posts in the civil service dealing with both community and economic issues and was adviser to Mo Mowlam and Peter Mandelson on planning the implementation of devolved government following the Agreement. This included setting up the institutions of the Agreement – the Executive, North/South Institutions, the British/Irish Council, and the British/Irish Inter-governmental Council. Subsequently he became Deputy Permanent Secretary at the Department of Agriculture. Since retirement he has been active in youth and community work and in addition to being Chair of the Community Relations Council he is also Chair of the Community Foundation of Northern Ireland He is also on the Boards of Playboard, EGSA and the Gaeltach Quarter. Patricia McKeown is Regional Secretary of UNISON the Public Service Union and one of the most senior trade unionists in Ireland. She was President of the Irish Congress of Trades 2007-09 and Chairperson of its Northern Committee 2005-07 and is former Deputy Chairperson of the EOCNI. She is currently Co-Convenor of the Equality Coalition. Patricia is an elected member of both the Northern Ireland Committee and the Executive Council of ICTU. She represents the trade union movement on the board of InterTrade Ireland. Patricia has also served as a member of the Economic Development Forum and several social partnership forums. Patricia has pioneered a range of partnership initiatives with employers in both the public and private sector, including international initiatives with unions and employers in the US. Her union is an outstanding champion of programmes on lifelong learning and continuous professional development and has pioneered an award-winning jobs project in West Belfast with the Belfast Trust and the West Belfast and Greater Shankill taskforces delivering real jobs in areas of greatest objective need while developing parallel career opportunities for existing health service workers. Danny Moore, Founder, Lough Shore Investments. Danny Moore is a former Chief Operating Officer of the NYSE Euronext trading technology segment, NYSE Technologies. Prior to joining NYSE in 2008, Mr Moore served both as Chief Operating Officer and Chief Executive Officer of Belfast-based trading technology firm Wombat Financial Software. Wombat, under Mr Moore’s stewardship, was acquired by NYSE Euronext in March 2008. Before joining Wombat, Mr Moore worked with Newry-based First Derivatives Plc. In late 2010, Mr Moore established Belfast-based investment firm Lough Shore Investments. Through Lough Shore Investments Mr Moore plans to partner with both established and promising next generation start-up companies primarily based in Northern Ireland and Ireland. Mr Moore also plans to bring significant foreign and U.S. investment to the Northern Irish economy through Lough Shore Investments. Eimear Ní Mhathúna is executive director of Cultúrlann McAdam Ó Fiaich, Ireland’s first Irish language arts and cultural centre. A graduate of NUI, Maynooth, she worked in education for a number of years. She joined Cultúrlann in 2001 initially as Events Manager, and became Executive Director in 2004. Recently she oversaw a 2 million pound extension to Cultúrlann which transformed the old church building and heralded the emerging Gaeltacht or Irish speaking quarter. She is involved in the development and regeneration of the area around Cultúrlann as chair of the Gaeltacht Quarter board, which aims to use the Irish language and culture to regenerate the area around Cultúrlann, an area of multiple deprivation but also home to Ireland’s largest urban Gaeltacht. 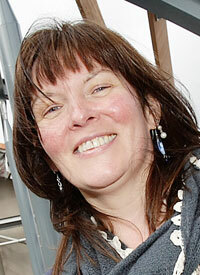 She is also a board member of Fáilte Feirste Thiar, west Belfast’s tourism development organisation. State Representative Eugene L. O’Flaherty, Democrat of Chelsea, represents the Second Suffolk Representative District of Massachusetts, which consists of the Boston neighborhood of Charlestown and most of Chelsea. Representative O’Flaherty graduated from Malden Catholic High School and received a Bachelor of Science degree from Suffolk University. He was awarded a Juris Doctorate from the Massachusetts School of Law and was admitted to the Massachusetts bar and the Federal bar in 1994. He was elected to his first term in the House of Representatives in 1996 and was sworn in on January 1st, 1997. Currently in his 7th term in the House of Representatives, Representative O’Flaherty serves as the House Chairman of the Joint Committee on The Judiciary. He has held this Chairmanship under three different Speakers of the House and has been a staunch advocate for the legal community since he was first appointed in 2002. In addition to his legislative duties, Representative O’Flaherty is a practicing lawyer and is a Partner in the law firm of O’Donovan, Dwyer & O’Flaherty, P.C.. The youngest of five brothers and the only member of his immediate family born in the United States, Representative O’Flaherty lives in Chelsea with his wife, Patricia. Eugene’s parents are both from County Kerry and both of his wife’s parents are from Dublin City. Mandy Patrick is a Director of the Park Avenue Hotel, a family business started by her grandparents over 50 years ago. She has previously represented the hotel sector on the Board of the Belfast Visitor and Convention Bureau and in 2003 she was appointed to the Board of the Northern Ireland Tourist Board where she served two terms, she then served three years on the Board of Tourism Ireland who have the responsibility of marketing the island of Ireland. Mandy was asked to join the Board of East Belfast Partnership in 2005 and is a member of the Executive Committee chairs the Tourism Sub Group. In October 2011, Mandy was elected Vice President to the Board of the Northern Ireland Hotels Federation, a member organisation. 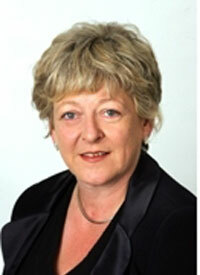 In January 2012 she was appointed as Deputy Chair of the Northern Ireland Consumer Council. Mandy is a DENI appointed Governor of Glendu Nursery School. In 2010 Mandy was honoured in the Queen’s Birthday List with an MBE for her contribution to tourism. Mike Smith is Chief Executive and Managing Director of Titanic Quarter Ltd.
A graduate of Trinity College, Dublin and Queen’s University Belfast, Mike’s 30 year career to date spans many of the key areas of urban regeneration. 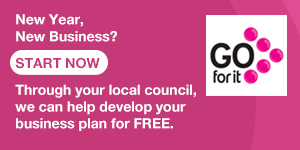 He is a chartered surveyor and chartered town planner. He was appointed Director of Development for Laganside Corporation in June 1989 and led the Corporation as Chief Executive from 1997. 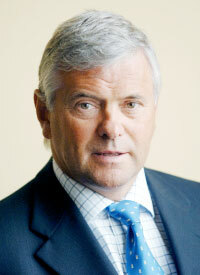 In September 2002 Mike moved to Titanic Quarter Ltd as CEO and Managing Director. 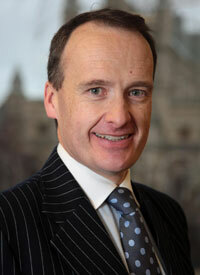 In 2002 he was elected Chairman of the RICS and in 2004 was appointed Visiting Professor at the University of Ulster. He is currently Chair of the Real Estate Initiative. 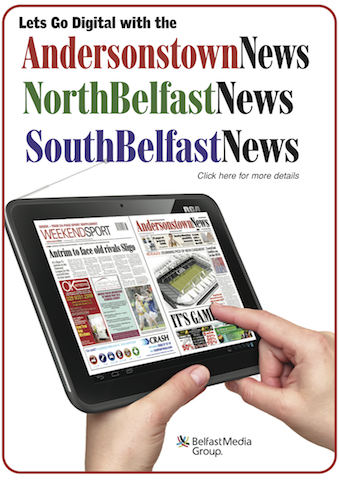 He is an advisor to the East Belfast Partnership Regeneration Group and Chair of the Templemore Avenue School Trust. 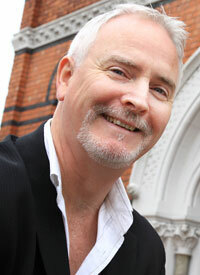 He is currently Chair of Cinemagic (an award winning International and Television Festival for Young People). Iñaki Zabaleta is a full professor of Journalism at the University of the Basque Country (UPV-EHU) in Bilbao, Basque language writer and journalist. He served as visiting scholar at the School of Journalism and Mass Communication of the University of Iowa (1992) and has carried on research stays and fieldwork in New York, Wales, Ireland, Scotland, Frysland The Netherlands), and Saami countries (Norway, Finland, Sweden). His professional experience as press and broadcast journalist and editor has included the direction of a series of thirteen television documentaries on Basque culture (Urak Dakarrena); the making of reports about the Basque Country for the CNN’s World Report; the editorship of weekend newscasts at Euskal Telebista (Basque TV network); and the direction of magazines (Munduan: Paz y Desarrollo; Eireka), among other activities. He writes articles in Basque magazines and newspapers. He also participated and was one of the co-founders of the Basque daily newspaper ‘Euskaldunon Egunkaria’.